I don't know about you, but I'm getting into the Christmas spirit. 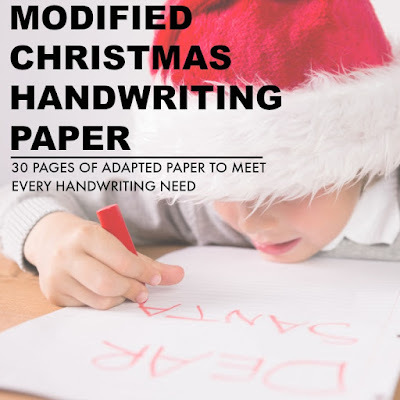 Whether you are trying to think up some fun Christmas themed occupational therapy activities to add to the mix this month, or are looking for Christmas activities that kids and the whole family will love, it's a fun time of year for adding creative Christmas ideas! That's why I wanted to put together some therapist-approved Christmas activities for kids. These are ideas that add a motor component to learning and play. Stay tuned, because this week is all about Christmas activities for kids here on The OT Toolbox! I'll link to all of the posts this week here but be sure to stop back each day to see the activities and ideas that you can use in therapy treatment sessions, in the classroom, and in the home. This would be a great way to get ideas for home programs or holiday break activities, too! 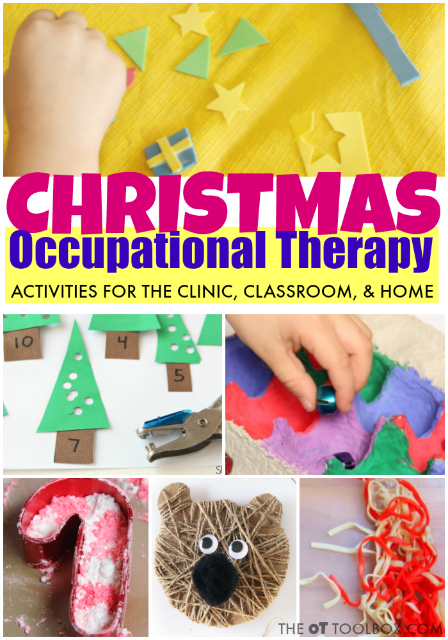 All of the activities and ideas you'll find here are perfect for the occupational therapist looking for Christmas themed fine motor activities, sensory challenges, visual motor activities, gross motor ideas, brain breaks, and more! 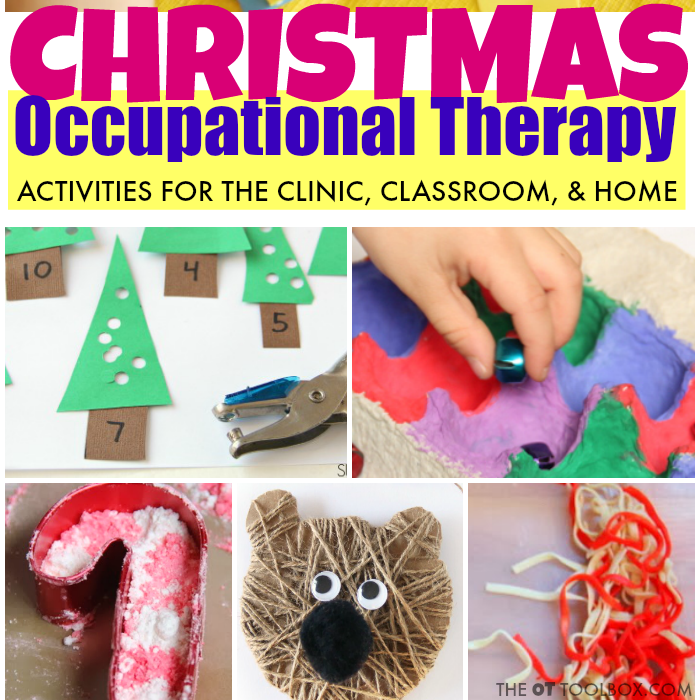 Be sure to download our Christmas Occupational Therapy Calendar that is full of therapist-approved Christmas activities for kids this season. NOTE-All of the activities and ideas indicated in this article as well as those listed are to be used as ideas to meet the individual needs of each child. All activities should be used according to the child's individual evaluation and interventions.